My most durable and trusted footwear, so far! DURABLE!! My most durable and trusted footwear, so far! DURABLE!! BULLETPROOF!! FUNCTIONALITY!! These are the original "Hummer" of sandals. 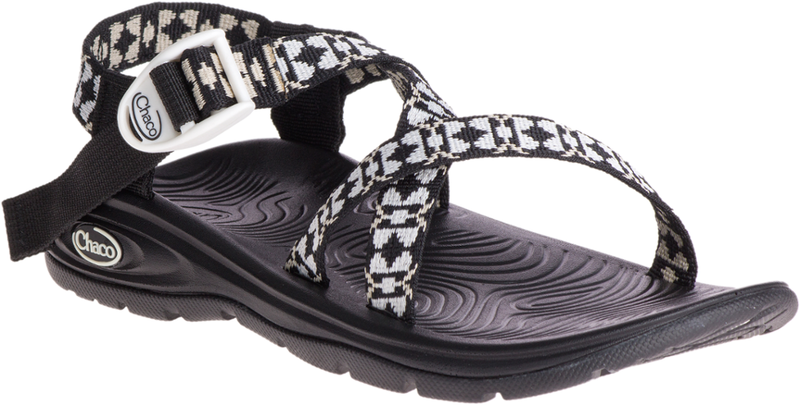 Safe transportation through difficult terrain that challenges/kills other sandals. Built to help keep the human inside safe. I've had these exact sandals for about 13 years now and still use them every day. Comfortable, rugged, waterproof materials (including leather), sure footed on wet rocky stream crossings. Highly recommended for humans. Do they make them for water dogs too? Rubber cap saves your toes in rocky river crossings and hides toenails. 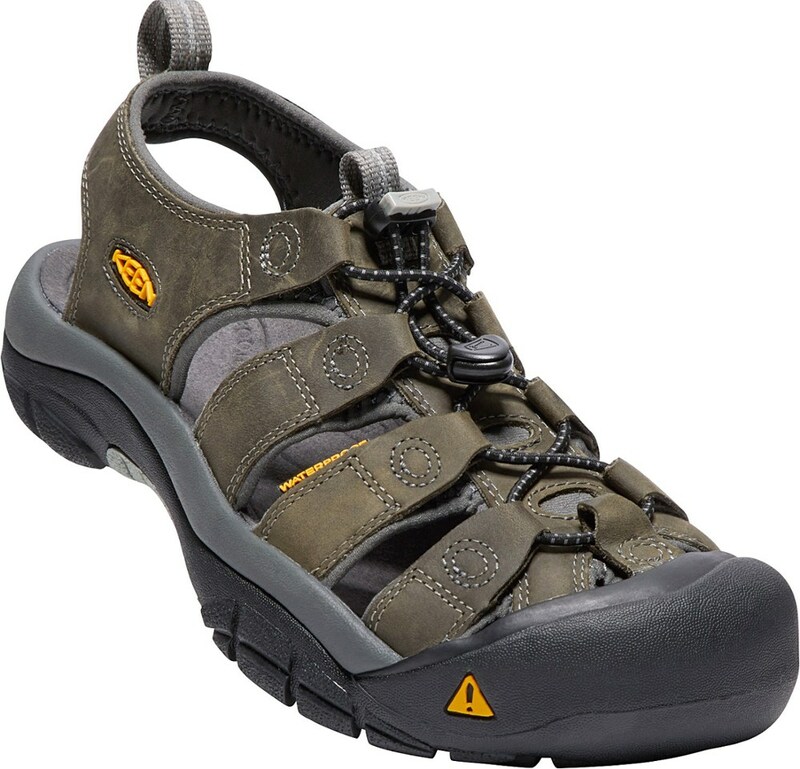 Keen Newport Sandals are among my most trusted footwear for Utah exploring trips. They have got me safely down slot creek carved canyons and into Moab's Fiery Furnace, and back out. Here my friend Brent, at Woodsounds Flutes, took a video of me playing one of his custom Native American Style flutes in the Firery Furnace (over 40,000 YouTube views now, humbling!). Cars have bumpers to protect them, why not feet? The rubber toes are a distinctive feature of Keen footwear. On sandals these heavy duty ones really protect my feet from rocks I can't see in creeks. The tread pattern grips mossy, otherwise slick, rocks. And the heavy duty waterproof leather protects against abrasion of the sides of my feat, and wears like iron! But the leather is rich and soft feeling, and has a flexible, stretchy protective fabric liner between the leather and my feet. Note the round stitching pattern at the lace ends of the leather strips. It's highly unique to see in footwear. It makes it hard to pull on the stitching and snap the thread. NO stitching has come loose on my sandals. If you have a wider foot AND ankle AND don't sweat, this is for you. If you have narrow ankles, you probably will not like this shoe as your feet will slide around and give you blister. I have worn with socks and that looks dorky, but is very comfortable. 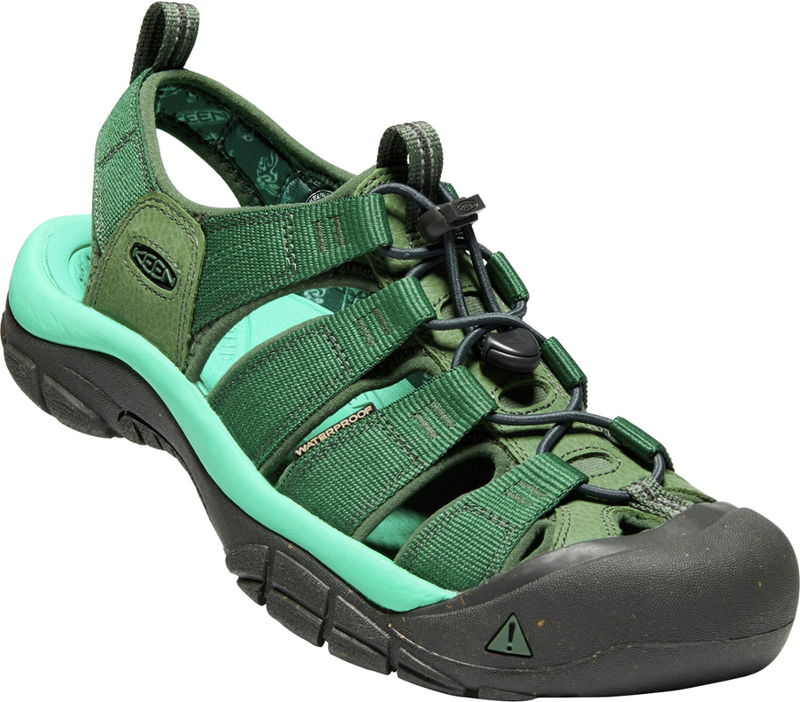 I wish someone would make a sandal like the Teva Psyclone for kids only with adult support and durability. 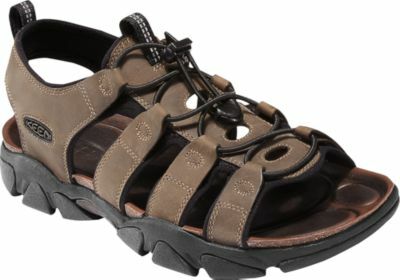 These are the first sandals that I liked and wanted to wear. as far as sandals go they have great arch support, a nice even foot bed, not a lot of movement when you tighten the laces up. Great pair of sandals. stiff sole, and side to side stiffness. doesn't feel like a sandal. with a good pair of wool sox I wore these well into fall. small rocks get in under your foot and you have to take them off to get them out. sometimes you can move your foot in the current and it will come out, but not always. FIT- great, with sox or without. 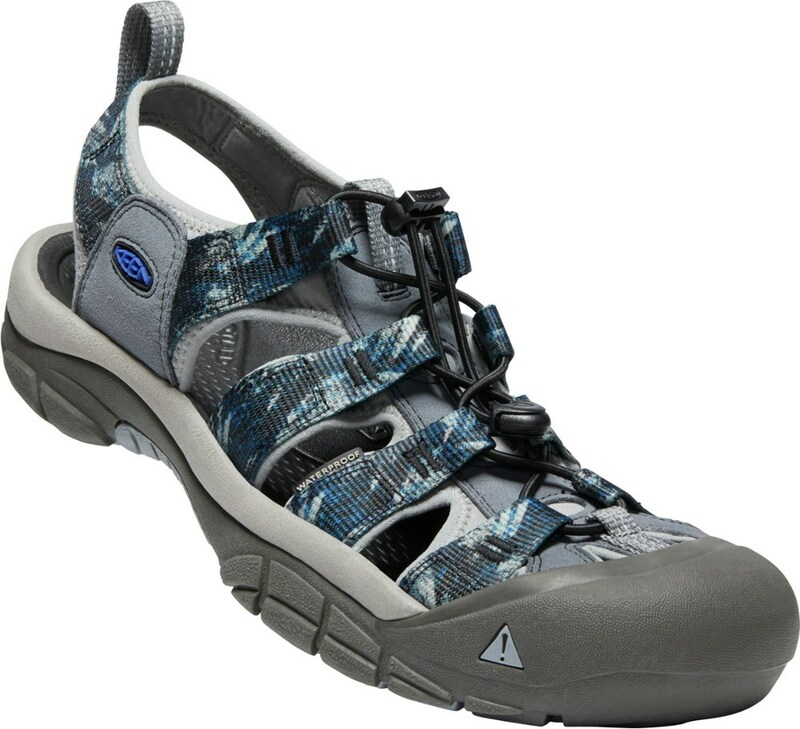 feels a lot like a shoe or boot when you tighten up the laces, but you still have the airflow of a sandal. COMFORT- no real break-in, comfortable from the first time i tried them on. SUPPORT- more than i would have thought. good arch and side to side. tread is think enough that you can't feel the stones and rocks under foot. sole is stiff enough to keep your feet from flexing side to side. WATER RESISTANCE- these are sandals, but the leather is listed as water proof, they don't seem to get soaked or water logged. they dry faster than my shower shoes. TRACTION- as good as my vasque mx2 boots. treads not quite as sticky as approach shoes but close. tread design seems to work well in the water on rocks and in fast water on gravel. TEMP CONTROL- sandals, nuff said. EASE OF USE- put them on pull the bungee lace and slide down the keeper. any easier and someone would be putting them on for you. FEATURES- full toe coverage, this is why i got them. I've spent to much time in the woods to walk around with open toe sandals. scratched and gouged up to many pairs of boots to do it. got them to use while canoeing and kayaking on creeks and rivers here in the mid west. way to many things in the water(re-bar, old fence, nails, tires, scrap metal of all kinds) to go into the water with no toe coverage. bungee laces with a keeper, you can't loosen them up without pushing the release. CONSTRUCTION AND DURABILITY- spent a spring, summer, and a fall canoeing and kayaking in these before they went to Afghanistan with me. used them as winter shower shoes in northern Afghanistan without any problems. spring came and every day i woke up these were the first pair of shoes i put on. the talcum powder like dust didn't bother them, the heat didn't dry them out. never a problem. 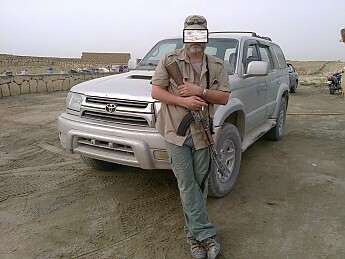 many times these were my go to shoes for those easy nonchalant drives through Afghanistan. 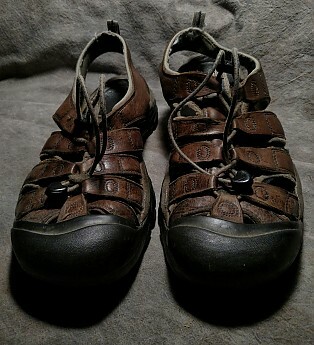 CONDITIONS- i got these in the spring of 2010 wore them all through the spring and summer and into the fall canoeing and kayaking. they went with me to Afghanistan for 11 months. used them daily for everything from shower shoes to work boots. mud, dust, water, dirt, rocks, and even some shrapnel didn't faze them. I know this was a bit long but they are great sandals, in my opinion you can't go wrong with these. I have had these Keens for 4 years now. They have been absolutely wonderful! However, unlike their brother the Newport H2, these guys are not for the trail. They do not dry nearly as fast as the nylon on the others do, debris gets caught and then ground into the leather footbed while out on the trail. I honestly stopped using them for outdoor activities long ago. However for an outdoorsy feel while you're running around town, they are perfect! 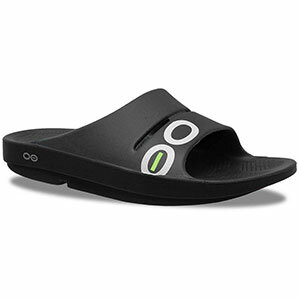 The footbed is very comfortable and has molded to my foot, that I enjoy a lot. However I did get some stretching on the backstrap that caused me to have a bit of a backless shoe feeling. Overall, outdoor shoe->no, everyday comfy shoe->yes. Use: 100 mile hike - dayhikes - around town - swimming. Great product. These sandals proved themselves when I first got them. Right out of the box I hiked 100 miles through Shenandoah National Park. I wore them with and without socks. Wet and dry. By the end of the trip everyone's feet looked like ground beef while mine remained without a single blister. Whether or not you believe this is up to you. I have yet to get any sort of blister from these. I love them. I can honestly say that I would much rather hike in these than a pair of boots. The only problem is they offer no ankle support whatsoever. The heel is also exposed and I have banged it up on a few rocks here and there but not very often. Otherwise they are totally amazing. 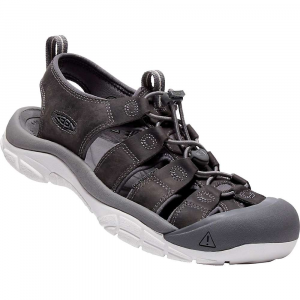 I would recommend them to any person who is looking for a sport sandal. My friends have Tevas and get blisters from them. No blisters, no rubbing, no irritation. No matter the condition. If you buy them, buy them from LL Bean because they have a life-time warranty. I had to return one pair after using them heavily for a year and they sent me a new pair with no questions asked. Got to love it. Have fun and never get lost. I really like the Newport sandal but I would go with the H2 instead. I own both and the regular Newports don't keep their shape very well. 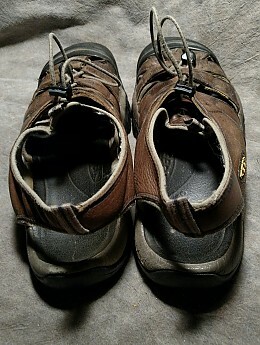 After six month or so of solid use they became stretched out and now cause me blisters on longer hikes. I have demoted them to hanging around the house and take my H2s into battle. Despite the "Antibacterial" Odor resistant footbed these puppies will stink after a long hike. Also not a problem with the H2s. The solution to the stinking problem is to spray them with rubbing alcohol before and after you wear them. If you are going to buy get the H2.